Exotic plant to grow like climbing beans. 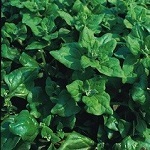 Succulent leaves with sharper and stronger taste than normal spinach. Can be eaten raw or cooked. Start indoors in spring. Winter variety with large dark green leaves. Very hardy and stands a long time. Sow in autumn. Sow late summer/early autumn for spring harvest and spring for summer harvest. Good resistance to bolting. Good variety for dry soils as it stands well without bolting but it takes a long time to germinate. Milder tasting than normal spinach - enjoyed by those who don't normally eat spinach! Sow in spring. Slow to bolt with smooth dark leaves and long growing season. Sow March to October to pick April to November. Old, French variety producing large, dark green, slightly savoyed leaves. Very winter hardy. 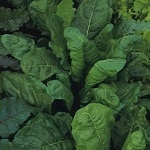 This is a leaf beet rather than a spinach, which can be harvested all through winter. Dark green leaves on thin stalks. Hardy. Sow March to September. 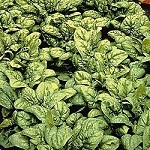 Lighter green than Perpetual Spinach with quite thick stalks. Very slow to bolt.Very good tasting.